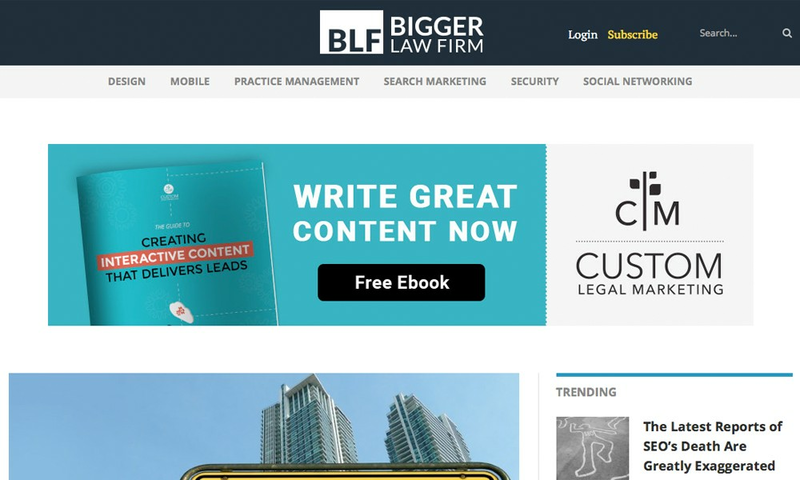 Get inside the minds of real legal marketing experts with the Bigger Law Firm magazine! The only printed magazine written by real law firm marketing specialists that are helping lawyers build bigger law firms every day. Bigger Law Firm™ Magazine was founded to introduce lawyers to new marketing and firm management ideas. Advancing technology is helping law firms cover more territory, expand with less overhead, and advertise with smaller budgets. So many tools exist but if an attorney is not aware of these resources, they cannot integrate them into their practice.